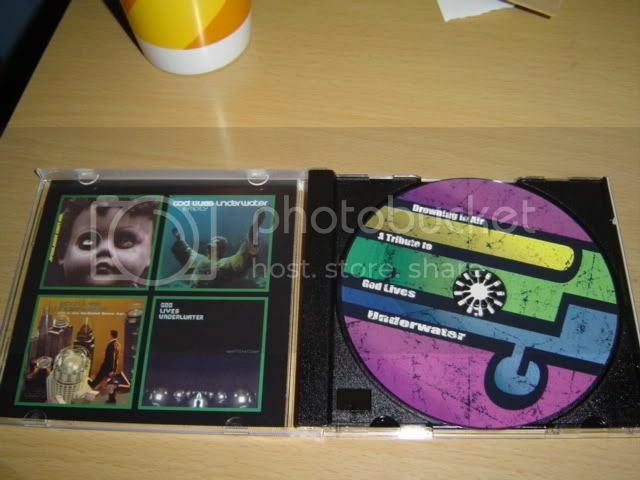 All CDs bought from randy, (possibly brain), and myself should come with a free poster/booklet. All profit will be used to order more CDs or donated. Any artist on the tribute feel free to message me for a free copy. 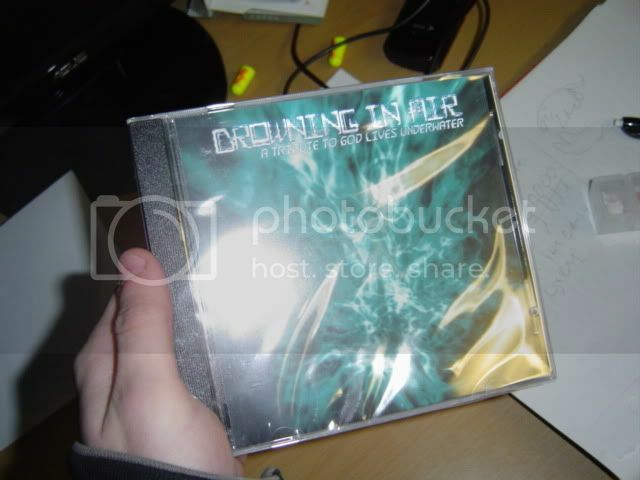 Re: Drowning in Air a Tribute to God Lives Underwate ON SALE!!! by the way anyone who downloaded the "free ver" should know the actual cd sounds is a lot better quality, most of the songs were compressed so the cd sounds a lot better. Nice. I see you used the Kunaki site that I posted about that my brother used for his CD. They do a good job! Fiveliter302 wrote: Nice. I see you used the Kunaki site that I posted about that my brother used for his CD. They do a good job! because of your recommendation actually. saved money and did a nice job. i just had to axe some of the booklet. im printing that on the back of a poster ill ship with it so its no biggie. Glad I could help get this thing moving! ON a different note. would anyone want to buy a God lives undewater tee shirt? Yes. I've got an old LITSCSA shirt that I didn't even like but I bought it because it was GLU. It's too small for me now anyway. as a result of small disagreement with Brian/jawa and Gretchen she may pursue legal action if i do anything more GLU. not because I've done anything wrong per se, but because we got into a bit of an arrangement. however it IS sorted out so perhaps. Last edited by bobnugget on Thu Feb 11, 2010 2:43 pm, edited 2 times in total. popping back in to say that David was cool with this tribute happening, even giving Randy and the members of this community permission to do it. It's funny how bootlegged cd-rs of shows recorded on tape decks are cool to be hocked off on people for ridiculous prices, and the only way we can even LISTEN to rare david stuff is to BUY it from someone. We started the FTP so we didn't have to deal with #### like that. David was putting music up for free as long as he was on the internet. This whole #### is stupid, and I think it's doubly #### stupid that now, out of nowhere, someone talks to davids sister (as if it was unknown a tribute was happening before) and after 5 YEARS, the tribute must be halted. OH #### there's no cash to be made here, we can't allow this. #### leeches. asamorris wrote: popping back in to say that David was cool with this tribute happening, even giving Randy and the members of this community permission to do it...........and after 5 YEARS, the tribute must be halted. OH #### there's no cash to be made here, we can't allow this. #### leeches. wait.. the tribute has been halted? also, i don't think it's a matter of being a leech. it's really disrespectful to say as such about gretchen or anyone in his family at least. bobnugget wrote: ON a different note. would anyone want to buy a God lives undewater tee shirt? No. Everything is fine now. btw i didn't plan on it asa. fixed. i just didn't want to be stuck with a few hundred cds.